The rules by which local education authorities must in future fund individual schools were last night approved by the house of lords. The Financing of Maintained Schools Regulations, resulting from the School Standards and Framework Act 1998, relate to the new school categories - community, foundation and voluntary - which do not take effect until 1 September. However, they have been modified so as to apply, between 1 April and 31 August, to the existing categories- county, voluntary and grant-maintained. For the government, Lord Hunt of Kings Heath said the regulations established a single, equitable funding regime for all state schools in England and Wales to replace the divisive dual-system which has existed since the introduction of grant-maintained status. He said: 'First, we want to put in place a framework which aligns funding with the respective responsibilities of schools and LEAs and promotes greater transparency in funding arrangements. Secondly, we want to give all schools the fullest scope for self-management by requiring significantly higher levels of financial delegation than have been normal up till now in LEA schools; but we want to do this without forcing schools to take on responsibilities before they think they are ready. 'Thirdly, we want to ensure equitable treatment as between community, voluntary and foundation schools; and at the same time we want to give grant-maintained schools a smooth transition to the new funding framework'. Lord Hunt said the regulations followed an extensive two-stage consultation. There were about 3,500 responses to the consultation paper. 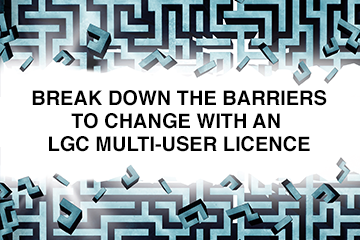 Detailed consultation with LEAs and national organisations led to modification of the regulations in ways which provided local flexibility without losing the essential features. As a result, the delegation timetable had been revised to give LEAs more time to work out suitable arrangements in consultation with schools. Government had reconsidered the range of items which may be centrally funded. For example, LEAs will not now have to delegate funding for meals and milk to all primary and special schools, although they may do so if they wish and LEAs will be required to delegate such funding from April 2000 to individual primary or special schools where they request it. LEAs will be able to continue outdoor education centrally if they wish. marginal adjustments had been made to the originals proposals on support for the arts and funding of supply cover. A wide range of financial, personnel and other administrative support work must be delegated by April 2000. Schools will take responsibility for all non-capital building repairs and maintenance from April 1999 in England and April 2000 in Wales. Funding for secondary school meals must be delegated by April 2000,or April 1999 in England if there are no contractual problems. Lord Hunt warned: 'The process for the approval of education development plans will require LEAs to refocus their expenditure for school improvemen. In doing so, they will need to consider very carefully the role, and the cost, of inspection and advisory services. Funding for such services will, in general, have to be delegated from April 1999 in England and April 2000 in Wales if it cannot be justified by reference to LEAs' approved educational development plans'. Education secretary David Blunkett would be publishing tables early in the summer to enable performance of individual LEAs to be compared. He is also prepared to use his powers to target wasteful bureaucracy. Conservative education spokesman Baroness Blatch pointed out that local management of schools had been pioneered in Cambridgeshire CC 19 years ago and in Tory-controlled Solihull MBC 'in the face of vociferous opposition from Labour party members'. Commenting on the school funding regulations, she said: 'I suspect that delegation will be no more, and may be even less, than at present when this scheme is up and running. It is clear that it is a far cry from the 100% delegation promised in the publicity blurb. Certainly the bureaucracy will be difficult to control given the considerable extra burdens laid upon local education authorities. 'As I have said even the minister [school standards minister Estelle Morris] has had many doubts about how this system will work in all its detail. What matters to schools is that they receive the maximum amount possible from the local education authorities, that bureaucracy is held to a minimum and that the promised transparency claimed by the minister will be evident'. Liberal Democrat Lord Tope, leader of Sutton LBC, commented: 'I remain uneasy about the government's attitude to the role of LEAs in monitoring the quality of education provided in their areas. I have long believed that the use of high quality advisers for subject areas, advisers who can evaluate, support, assist and train teachers in their schools, is more likely to raise standards than the Ofsted 'name and shame' strategy'. He understood that such services must be delegated, but the pseudo-market approach of buying in such services actually put advisory services at risk.